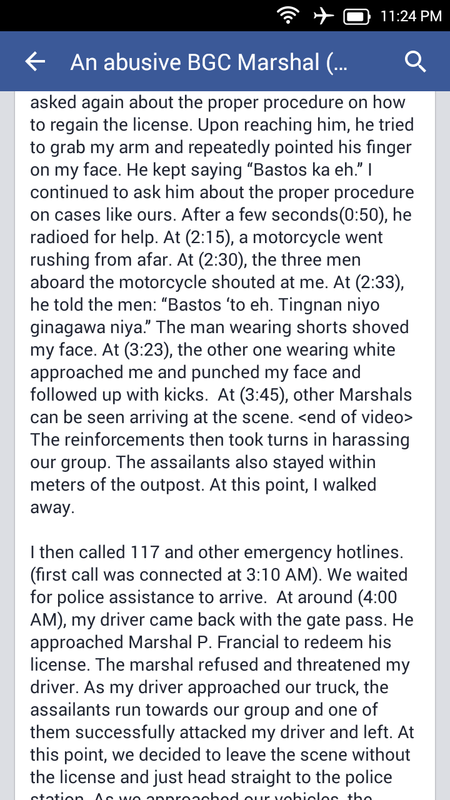 A Bonifacio Global City marshal and his companions have been accused of harassing and assaulting a businessman and his driver last Friday. Mark Jason Benipayo Quintana, owner of WABS Printing and Equipment Rentals engaged in lights and sounds services, narrated his side of the story in a lengthy Facebook post. 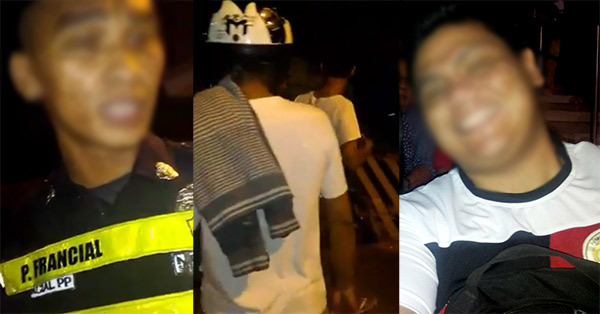 He claimed that a BGC marshal identified as P. Francial apprehended their convoy—composed of a Toyota Revo and Isuzu Elf—at 11th Avenue corner McKinley around 2:50 a.m. on July 24. Quintana said Francial confiscated the license of his driver and asked them to pay P500 pesos for their six-wheeler vehicle (Elf). 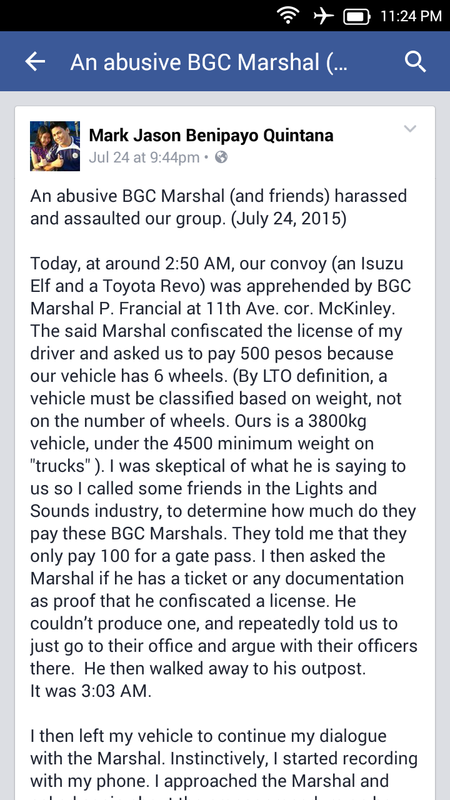 He refused to pay and insisted that "by LTO definition, a vehicle must be classified based on weight, not on the number of wheels." An argument between the two began when Francial allegedly failed to provide a ticket or documentary proof that he has confiscated the license of Quintana's driver. The altercation was caught on video after the complainant pulled his smartphone out and started recording for what he called "documentation." (5:30AM) After more than two hours, countless arguments, a dislocated jaw, a broken nose and a black eye, an ambulance finally arrived to treat my driver. As of 11:30 p.m. on Wednesday, July 29, the 3-minute, 56-second video already got almost a thousand likes and more than 2,200 shares. It has been viewed over 105,000 times. While many expressed sympathy for Quintana, saying that some BGC marshals are "rude" and "abusive," others said Francial may have been provoked because he sounded "annoying." 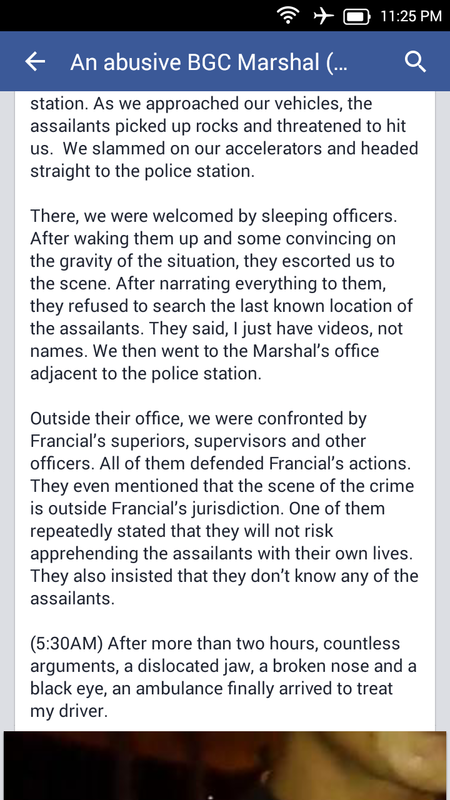 The viral video also sparked an online debate as to who was at fault, the businessman or the BGC marshal? What do you think?